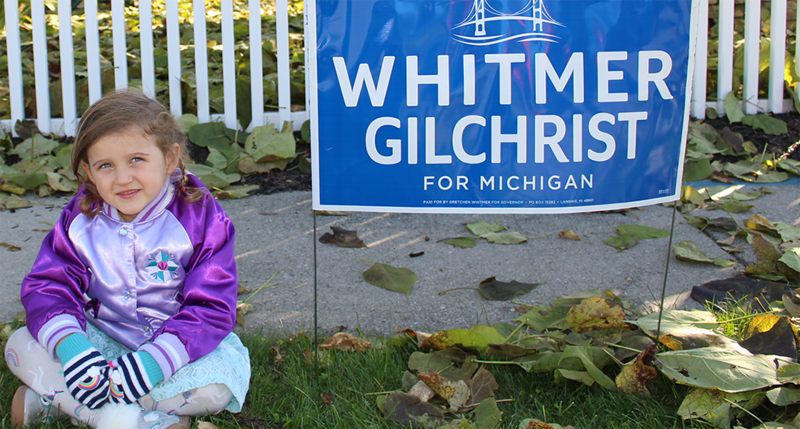 Whitmer campaigned on improving Michigan schools. Leaders across the state offer her suggestions to accomplish that goal. Education likely will be a major topic in Gov. Gretchen Whitmer’s first State of the State address Tuesday. Michigan’s schools are in the bottom third in the nation in student achievement. There is a wide and stubborn achievement gap between low-income students and their wealthier classmates. Many public universities are more expensive yet have lower graduation rates than similar schools in other states. Quality child care is as expensive for some families as tuition at the University of Michigan. “You’ll hear a lot about education during my State of the State on Feb. 5, and you’ll see my plan,” Whitmer said at a January event in Clare. Bridge spoke to nine school leaders, advocacy groups and State Board of Education members about what they’d like to see Whitmer propose in the State of the State. While they proposed an assortment of reforms, there were commonalities that many believed could help improve education in Michigan. Most likely would involve more money. That may not be an easy lift in Michigan, which ranks dead last in school funding growth over the past quarter century and, likely as not, would require more revenue from a Republican-controlled Legislature. Sen. Wayne Schmidt, R-Traverse City, chairperson of the K-12 and Department of Education Appropriations Subcommittee, Sen. Lana Theis, R-Brighton, chairperson of the Education and Career Readiness Committee, Sen. Kim LaSata, R-Bainbridge Township, chairperson of the University and Community College Appropriations Subcommittee, and Rep. Pamela Hornberger, R-Chesterfield Township, chairperson of the House Education Committee, did not return calls for comment. Michigan ranked 47th in the nation in the number of K-12 students per counselor, at 729 students per counselor in 2014, according to the American School Counselor Association. Michigan is 45th in the degree of change in student-counselor ratio between 2004 and 2014. Counselors are stretched so thin, particularly at low-income schools, that many have little time to help individual students find their right path after they graduate from high school. That’s a big deal in a state that is below the national average in the share of adults with college degrees. Access to school counselors increases college enrollment. To reach the national average of 482 students per counselor, Michigan schools would need to hire about 1,100 more counselors. A rough estimate of the cost: $80-100 million more per year. Michigan is notoriously stingy with child care assistance for working families, and support for increasing aid is growing among CEO’s and Republicans because of the impact on the state’s workforce. Michigan invested in pre-K education several years ago, expanding the state-funded Great Start Readiness Program to enroll more four-year-olds from low- and moderate-income families to help prepare them for kindergarten. But the state ranks among the worst in the nation in financial support for children ages 0-3 ‒ a period when the brain develops rapidly. High-quality child care can help children be better prepared to enter school - an issue in a state that lags most of the nation in academic achievement. Beyond the long-term benefit for student achievement, increasing state support for child care would likely boost economic development. Some working-age adults don’t enter the job market because of the high cost and low access to quality child care. Michelle Richard, vice president of Lansing-based Public Sector Consultants, urges Whitmer to hike the income eligibility limit for child care assistance, which now stands at 130 percent of the federal poverty level, or $27,729 for a family of three. Advocates recommend increasing the assistance cap to at least 150 percent of the federal poverty line ($31,995) and eventually higher. Richard also recommends that the state increase the subsidy paid to child care providers for care of children qualifying for state aid – which is also among the lowest rates paid to providers in the nation. “We need to ensure our child care system is strong,” Richard said. Michigan ranked a dismal 38th nationally in state financial aid per college student, doling out the equivalent of $266 per student in the 2015-16 academic year, when all in-state students are taken into account. The national average was $790 per student, almost triple Michigan’s spending. Ohio spent more than $1,000 per student. When adjusted for inflation, financial aid has plummeted 63 percent since 2002, the year many of this fall’s incoming freshman class was born, according to the Michigan Association of State Universities. Financial aid matters because it’s Michigan’s low- and moderate-income families who are least likely to attend college. If Michigan is going to increase the percent of adults with college degrees, a good place to start would be to make college more affordable to those who now hesitate to go because of cost. Dan Hurley, executive director of the Michigan Association of State Universities, urges Whitmer to pump up the Michigan Competitive Scholarship, which offers $1,000 per academic year to students who qualify academically (a 1,200 SAT score or better), and have a demonstrated financial need. Hurley argues that $1,000 isn’t enough to make a significant dent in college costs. For example, the net cost at Michigan State University for a student from a middle-class family (earning between $48,000 and $75,000 a year) is over $19,000. Currently, state aid also doesn’t help many adults who are returning to college after dropping out. Financial aid stops 10 years after high school graduation, so anyone over age 28 doesn’t qualify even for the small amount of aid the state provides students. That’s a big problem in a state where about one in four adults have some college credit but no degree, and market forces are shifting away from manufacturing and the lifetime earnings between those with some college experience and those with a degree amounts to hundreds of thousands of dollars. In her campaign, Whitmer went even further, suggesting that Michigan offer two years of debt-free post-secondary education or skills training. That’s similar to what Tennessee offers – two years of tuition-free attendance at a community or technical college. Michigan funds public schools primarily through a per-student allowance, which currently is $7,871 for most districts. That allowance is the same for children from poor families, wealthy families and families who don’t speak English at home, even though the cost of a good education varies wildly between kids. Children from low-income families and English language learners often enter school behind academically. To try to close the learning gap, schools need extra staffing. Among the recommendations made in 2018 by a group made up of business, community and school leaders, the School Finance Research Collaborative, was that Michigan should replace its current school funding model for an equity-based system that would give schools more money for low-income students, English language learners and special education students. “I would hope we could look at our funding model and create an equitable system,” said Casandra Ulbrich, chair of the State Board of Education and a Democrat from Rochester Hills. A “children’s cabinet” that would put officials from various state departments such as Michigan’s Department of Education and Department of Health and Human Services that deal with children’s issues into the same room. Often, departments work in silos and don’t know what other departments are doing, said Robert Dorigo Jones, communications director of advocacy group Michigan’s Children. A defined college attainment goal. Tennessee has a “Drive to 55,” which is a goal of having 55 percent of adults with a post-high school certificate or degree by 2025; Texas has 60x30, a goal of 60 percent post-high school credentials by 2030. Advocacy groups have promoted a goal of 60 percent of adults with post-high school credentials by 2025, but Brandy Johnson, executive director of Michigan College Access Network, said the goal has not been codified by state leaders. Michigan is one of only nine states without a college attainment goal set in writing by the governor or legislature. If The Bridge keeps dredging up that flawed MSU "study", you only succeed in damaging your own credibility. Not only was the overall premise flawed, but its "solution" fails to address other reasons (i.e cultural) that contribute to the problems it claims to address. When people DON'T want to learn, all the money in the state budget won't fix that, regardless of how many times you post articles and opinion pieces claiming otherwise. And last time that I checked, there was only a finite amount of money to work with. Even less when you have a governor who cannot make a cogent argument regarding her priorities. Items like roads & pension tax cuts factor into that calculus as well. "When people DON'T want to learn..." - that says it all, Kevin. You have diagnosed the problem as "those people" don't want to learn. Where's your evidence for that? Got some studies to share with us? So you and those below believe everyone puts the same value on learning ? When given the choice between PBS Nova, Dancing with the Stars and the NBA everyone picks Nova? It’s always disappointing to see comments that emanate from pure ignorance and complete misunderstanding! Who in the world ever said that "people don't want to learn"? It's not that people don't want to learn, it's that certain groups of people have not been afforded the same opportunities and circumstances to access high quality education as others. This is exactly the main point of the MSU study you so easily dismiss and the facts that Michigan has ignored for over two decades. That you would even infer that the reasons “people don't want to learn" are cultural says a lot about your opinions and knowledge of people in general. What "people" are you speaking about??? It's obvious that you value some people more than others and would rather pave roads and cut taxes on pensions for people who obviously received an education to get jobs that afforded them the privilege of a pension! No matter the finite amounts of money, children and their education should be the highest priority for Governor Whitmer and this state! I pray that a new generation of children receive a better education than some of the adults walking around now to combat the conscientious ignorance of comments like yours. Is it fair to say that some people, families or cultures place a higher priority on education than do others? And sorry to say this means mom and dad(?) put extra effort helping their kid in any way they can to reach their highest potential, whether that means doing math flash cards or helping with reading or even with extra tutoring,where other parents don't do anything, not even showing up at parent teacher conferences. Or do you think that all learning is just a matter of creating and pulling the right lever? You argue about "one study" when the reality is our current system is at the bottom of the national heap. Your comment only shows your biases and limited thinking, that is out of touch with the real world experience. I am not sure what your "obsession" with money is, but it has been my experience that for people like you "enough is never enough for you". All these comments, and apparently NO ONE has ever bothered to look up the data that is readily available. And to people like Lee who have a hard time sorting through all of that information and want to resort to race-baiting, well let me break it down so that even he can comprehend. Let me use Michigan's favorite money pit, Detroit, to make my point. In 2009, only 96% were not proficient when tested in mathematics. In 2015 that number went unchanged . In 2017 that number of students who were not proficient was 95%. In 2009, the number of students who were not proficient in reading was 93%. In 2015, that number went unchanged. In 2017, the number of students who were not proficient in reading: 93%. The needle literally hasn't moved after literally HUNDREDS of millions of dollars had poured into that district over the years. What do they have to show for all of that? But, no let the personal attacks continue. And continue advocating for the same failed solutions that have been proven time and time again not to work. The underlying problems STILL remains. "But, no let the personal attacks continue. And continue advocating for the same failed solutions that have been proven time and time again not to work." I think you should look in the mirror and ask, how you have contributed to this mess. What are your solutions? You never have solutions, just criticism. Then when someone criticizes your feelings are hurt. A good citizen is participating in solutions. What are you doing to that end? Are you saying that I have had children that I haven't taken any responsibility for? That I have encouraged the same to not apply themselves? Talk about being utterly clueless, Bernadette! It should also be readily apparent by now that no one posting on this site is even remotely capable of hurting my feelings. So good luck with that argument. A good citizen also does not stand on the sidelines and watches as public resources are literally flushed down the toilet as the same failed "solutions" are promoted (and repackaged) by hucksters again and again and again and again. Spending more money isn't the answer. I don't know how I can make that undeniable fact any clearer. You want my recommendation, well here it is; Michigan should cut its losses and simply shut down failed school districts. When a parent doesn't want their child(ren) to learn or encourage them to better themselves, well a proverb about horses and water comes to mind. And this isn't a new concept. We've done it four times in Michigan already. Unless you're a stalwart defender of the status quo, there is absolutely no reason why that number cannot be more. Frankly I don't know if you have children you take responsibility for or not. You obviously want to judge others for what they do. That is part of the problem here in Michigan. You don't want to get down the root cause of the problem, which is much more complex than you present. I do agree with you on one thing though, it is not about spending more money, it is about how this money is spent. You have a bunch hard-hearted non-educators arrogantly suggesting what teachers need to do, require non sensical testing that doesn't tell you anything, set up commission after commission to "study" the problem and never follow recommendations and you have chaos. I am sorry I pushed your buttons though, I am sure you are a very nice guy who has an extremely different view point. Public Universities are a Cash Cow, Significantly reduce easy-to-attain Scholarships and Student Loans, and Tuition will drop quickly. Eliminate Prop Tax Education Portion for Seniors, especially for those that never had Children. Increase High School Counselors, Increase Skill Trades Information & Opportunities in Middle School & High School. Consolidate smaller Michigan School Districts in SE Michigan. For example, Avondale School District should merge with Troy and/or Rochester Schools. Urban Districts like Detroit that have horrific Academic Results as a whole, need to focus on Intensive Reading from K-3rd Grade. Enforce Requirements, cant read or be proficient in basics....one DOES NOT Graduate to next Grade Level. Do not Reward Individual Poor Choices. You reference asking school leaders, lawmakers, consultants, advocacy groups, and board of education members for their opinions. Why does no one ask the teachers for their opinions and possible solutions? Our teachers are on the frontline and their opinions and suggestions, based on the job they do, would be, and should be, of great valuable to the people making the decisions teachers must follow when it comes to curriculum, classroom formats, and other policies! But isn't amazing that Hillsdale College, Hillsdale, MI takes NO federal dollars and they are one of the best schools in the nation. They are doing it right !!!! Regarding K thru 12 schools, so much money is wasted on children who simply do not wish to learn. You are are correct that Hillsdale does not take federal funds but that does not prove any relationship between not taking federal funds and the quality of education. I have no idea where you came up with Hillsdale's academic rating outside of " The Mossback College Ratings". Stop the intrusion of the corporations and the wealthy that don't have students in public schools from making decisions for our children. Activist parents and community members who know the problems and can solve the education issues should be invited to be members of these committees. That's why the problem continues because of the all the division. We need to make the decisions for our own students. We are disrespected. I agree that money isn't the only solution tour education issues. Societal issues like lack of parenting, quality affordable childcare, are issues needing to be addressed. Funding ,class size and alternate methods of testing results,outcomes etc. are needed. Love to hear from you. R.L. We need to invest more time looking at HOW we educate, and we need to implement new teaching and learning models NOW. Current funding that is invested in engaging students in competency based learning opportunities can happen right away. Meeting students where they are, understanding their interests and passions, and providing students with those meaningful experiences, can turn things around immediately. More funding to support these efforts will certainly expedite innovation. But many districts throughout Michigan are doing incredible things without waiting for more money. They understand that waiting is leaving too many students behind! Trapped in the thick of really thin thinking. Money is not the primary issue. The structure of Michigan's educational system is warehousing children and treating them like widgets on an assembly line. That process was designed 150 years ago and is not longer effective. Instead of sitting in a hearing room listening to special interests make their case (Money, money, money) go to an elementary school when buses arrive in the morning (when it warms up). Observe and listen. Do the same at Middle and Secondary schools. Why does the level of excitement diminish? Re read Joi Ito's statement. What we are "doing to" our children is not learning. The fix. Budgets developed at the classroom level by teachers and local support staff. Curriculum, testing and pedagogy developed by teachers and local support staff. Standardized testing ended immediately. Students lead learning based upon their interests integrated with the academic disciplines needed to become an effective member of society, a 21st century society and beyond. (Not what the current hierarchy's reflection upon the past dictates what education should be). Reduce the size of schools - 150 members has been determined to be the most effective number for the development of community. Single buildings housing hundreds and thousands of children are an exercise in warehousing, not learning. It may appear to be efficient but long term the practice is costing our society billions in lost opportunities and later interventions. Spending more money on a system that is not working is . . . . . . Consolidate! Small communities are being taxed to death trying to support a small community schools. In our area South eastern Mi. (Hudson, Addison, Morenci, Pittsford and Waldron) alone we have 5 schools within a 20 mile radius. Each graduates 30 to 80 students. 4 of the 5 schools are old and require tax $$$ to maintain. We could build a state of the art school system for less $$$$ then we are paying to maintain 5 aging out of date schools. This is a no brainer. With comments by not so grand, Kevin and no-name Mark, who both appear to represent current republican ideology, good luck with improving the plight of Michigan’s children, let alone infrastructure, clean water, etc. Facts, research, and solutions offered by any experts in the fields of public education or the health of children, have no meaning in a republican world. Readers must realize that child abuse shows its ugly self in many ways and the current republican ideology is the biggest barrier in the health and well-being of children and adults in Michigan. Until that abuse stops and/or is replaced, nothing changes in Michigan. Our schools definitely need more money per pupil. But our tax money needs to go to the classroom not to additional admistrative expenses. We have far too many school districts. We need to go to more centralized administrative structure based on countywide districts or our current intermediate school districts. They should be responsible to provide all “central office” services, such as business services, personnel services, transportation services, supervision of custodial services, food services, maintenance services, any remodeling or new construction. The cost of administrative services, including building level administration should be limited to no more than 20%, or less, of the general per pupil state aid. This limit must apply to any “public school”, including state funded “charter schools”. Any rent paid for privately owned facilities used by any school must also come out of this 20%. This would shift the resources for the education of Michigans children back to their education from the excessive bureaucracy our schools are currently suffering under. Finally, stop taking the funds that were reserved for K-12 education under Proposal A to fund Community Colleges and State Colleges and Universities or highway reconstruction! Thank you for an original thought on how to save money and use what we have more wisely. By saying we need to consolidate, you are saying that big schools do a better job educating kids than small ones? The issues of K-12 funding and student performance are not inextricably aligned. Some schools and areas (not necessarily wealthy ones) do exceptionally well and some don't and finding the reason behind that performance is elusive. For once, let's not try to blame teachers or parents or legislators or locales and just stop and consider that the answers may not be readily apparent or easily attainable and stop trying to make a one size fits all system. What if we took all K-12 money and divided it according to Intermediate School District lines, had the school districts called together in each ISD to determine their share, and then forwarded their share based on common goals. Let's say the goals are simple as opposed to some measuring stick that pits one town against another, one district against another in performance measurements that never take into account socio-economic differences, location, or student cultural make up? For instance, if the ISD provides a common insurance pool that insures all the districts in that ISD for buses, liability, building damage, etc. would that not save substantial money? We've tried it before, why not again. For instance, what if the ISD pays each district's outstanding pension debt first out of the ISD money so that the teachers and the staff come closer to the guarantees they've told are forthcoming over the years? This instead of the state paying it and then transmitting less to districts. Nay sayers now blame the "State" for the shortages of funding instead of counting that state payment. That would recognize that one way or another it's got to be paid and since the local is the source of the commitment its their share to pay. This way the first decision on funding is to pay is what has been promised. For instance, what if all recurring services, IT, media, library, etc. are paid for by the ISD and districts are prohibited from separate services, wouldn't that save more for kid's instruction, extra curriculars, etc.? That was one of the original sales pitches for ISD's in many areas. One of the stronger sales pitches in some areas recognized that auto mechanic training was expensive and should be centralized and ISD's were logical managers. Frankly, in retrospect, we probably should entertain that original model again since being an auto mechanic is a noble career and we need more of them and it pays well. I'm just saying, let's get more value out of the ISD system. I believe the cost of that system is hovering over a $ 1.5B a year, they have taxing power, and their administrative staff is generally highly paid and very competent. We're wasting a real resource. 2) Separate Team Athletics from education. 3) Pay the educational stipend to the accounts of students to be directed to the school of their choice. Do not limit choice. 4) Have every state university and every community college prepare lecture materials for primary and secondary education - available for free on line. Private colleges including those with religious affiliations would also be able to contribute lecture materials. 5) Allow all schools to divide children into peer groups to provide better learning support. 7) Think about the best mix for learning and achievement - morning at school and afternoon at home, school 2 or 3 days per week, neighborhood learning with tutor . This is very similar to the European approach to Ed. They spends significantly less (we're at the top of the heap for spending) for far better results than do we (we are sub mediocre). I'd suspect the unions don't like it, so therefore the Democrats won't support this. I have seen 7 MEGA state of the art schools built over the last 10 years in Macomb's north area, and all have been sold to private schools or people to develop into nursing homes. I never understood why government buildings and schools are built nicer than the homes that people live in, that work there. Mr. French says, " There is a wide and stubborn achievement gap between low-income students and their wealthier classmates. " That is no doubt the case, but the question is why. Many years ago, the Detroit Free Press listed test results, poverty rates, funding and percentage of college graduates for every school district. I ran a multiple regression with those figures , using test scores as the dependent variable and percentage of college graduates, funding, and poverty rates as dependent variables. The percentage of college graduates explained the highest percentage of variation in test results. It also explained variation in district wealth. Given that fifty percent of the variation in intelligence is due to heredity, that makes a lot of sense. The National Center for Education Statistics (NCES) no longer provides the percentage of college graduates in a district. I wonder why. The article says, "Michigan invested in pre-K education several years ago, expanding the state-funded Great Start Readiness Program to enroll more four-year-olds from low- and moderate-income families to help prepare them for kindergarten. " I recall complimenting Mr. Powers for his support of that expansion of the Great Start Readiness Program, thinking that it was a wise idea. But an October 28, 2016 Brookings Institution policy memo by Edward Rodrigue and Richard Reeves reported that a study by professors from Vanderbilt University's Peabody Research Institute found that a longer term study of a new pre-school program had poor results. "By the end of kindergarten, the achievement test boost for treatment group children in the consenting subsample had disappeared. By the end of first grade, teachers rated the same children’s work skills and preparation as weaker than the control group; the effects reversed. By the end of second and third grade, control group children did better on academic tests than treatment group children." And "Other evaluations, like the rigorous Head Start Impact Study, found that preschool academic gains don’t persist even through the end of kindergarten." Has it been determined if the expansion of Michigan's pre-school program had any positive effects? Mr. French doesn't say. The article says, "When adjusted for inflation, financial aid has plummeted 63 percent since 2002, the year many of this fall’s incoming freshman class was born, according to the Michigan Association of State Universities." It seems to be the case, however, that increased levels of subsidies result in tuition increases. More money results in expansion of administrative staff and bigger, nicer facilities. "Financial aid matters because it’s Michigan’s low- and moderate-income families who are least likely to attend college." Isn't it also likely that those are the students least likely to graduate with a four-year degree and add to the large numbers of people without a degree, but substantial student loan debt? However, expanding the Michigan Competitive Scholarship program is a very good idea. Georgia, I believe, offers very generous scholarships to academically talented students regardless of income. "Michigan funds public schools primarily through a per-student allowance, which currently is $7,871 for most districts. That allowance is the same for children from poor families, wealthy families and families who don’t speak English at home, even though the cost of a good education varies wildly between kids." That doesn't seem to be the case. Asian-American students from very poor families often do quite well. They are vastly over represented in New York City's three elite high schools. Culture does matter. And there are many examples of charter schools providing a high quality education to poor African-American students. Students who were admitted by lottery, and whose records were compared to students who entered the lottery for the same school, but weren't lucky. There is a good case to be made for providing extra funding for special education students. And, while it is wise to promote "a goal of 60 percent of adults with post-high school credentials by 2025, it is not wise to establish a minimum percentage of college graduates. It is far better to build a culture and economy that will attract college graduates, rather than educate our own who will promptly leave the state in the absence of such a culture and economy. MO, I think you can boil it down to does a family have an aspirational culture or have one one of dependence and belief that your future depends on luck?. Yes, you can be poor and still aspirational, many examples! Culture is generational , everything else just is irrelevant and expensive window dressing. Read "Our Towns" by James Fallows and Deborah Fallows. See how communities across America have laid asided differences, come together to find creative solutions--a goodly number involving education. Let's lay aside differences and make better use of the resources we have in Michigan to lift our educational system to a higher level. Lots of good ideas in some of the responses. If you value experience, this veteran of nearly 50 years of service to Michigan public schools, from teaching grades three to twelve, to being retired and serving on the school board of a large district (nearly 9,000 students), I would say Ron French is spot on with this article. Michigan's school funding system is an illogical mess sorely in need of scientific redesign. Quality child care is critically important and expensive - not something you can or would want to try to automate. Considering the state of post-recession low wages, state assistance with child care costs is in everyone's best interest. We need to move forward together. Finally, the high cost of college is impeding the growth of a sufficiently educated and talented workforce. That high cost is in no small part due to the unwillingness of the Legislature to invest in higher education at levels comparable with the past (and, tragically, resorting to raiding the K-12 School Aid Fund to divert money to colleges). More than a century ago our Michigan forefathers and mothers had the courage and foresight to support land grand colleges, public (tax-supported) schools, and Normal colleges to train teachers to staff our schools and advance our society. It is time that we all step up to the challenge.